The decoration of the Guayabo Lodge is based on folk art with an emphasis on the nature that directly surrounds the hotel. The Lodge has been designed to embrace the natural surroundings and the staff has worked within the framework of Sustainable Practices, Bio Tourism and Cultural and Educational activities from the very beginning. 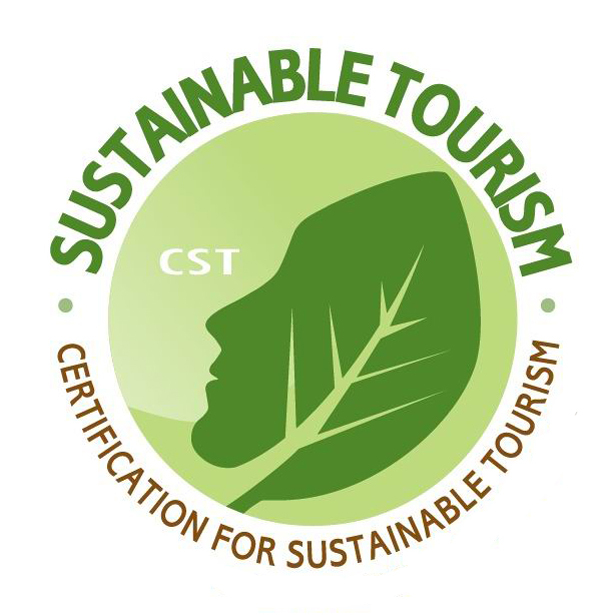 This Lodge has been certified with four out of five levels for sustainable tourism according to the CST (Certification for Sustainable Tourism). Guayabo Lodge offers accommodations designed to give its guests the comfort they need while travelling through Costa Rica. The hotel is 1500m high, and the temperature is pleasantly cool, no fans or air conditioning is needed in this area. The lounge and dining areas are spacious and comfortable, with panoramic views of the Turrialba Valley. The Guayabo Lodge is ideal for clients looking for peaceful surroundings which are close to main attractions where they will have the opportunity to participate in adventure tours and activities. Good option for small groups, couples and nature lovers. The rooms are cheerful, light and well decorated, each in a different way and with their own color scheme. The standard rooms feature twin, queen or full size beds, and private bathroom with shower with hot water generated by solar panels. The rooms are cheerful, light and well decorated, each in a different way and with their own color scheme. The suites feature two full size beds or one queen size bed, and private bathroom with shower with hot water generated by solar panels.